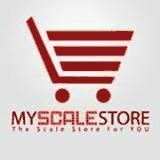 My Scale Store - Online Commercial & Industrial Scales Store - My scale store provides different types of scales to a variety of customers. We are the most reliable scale provider to industry, medical and food purposes. We deal in all kind of scales. My scale store provides different types of scales to a variety of customers. We are the most reliable scale provider to industry, medical and food purposes. We deal in all kind of scales. My scale store is a reliable scale provider to industry, medical and food purposes. The company deals in a wide variety of scales and has friendly customer support to guide you in right direction. The most common floor scale it offers is 48” X 48” at price of $900 or $540. PS-10KF floor scales are manufactured with versatile PS-IN108 indicator. This indicator is used in most of the warehouses and it is built finely in basic model. These scales vary in capacity so you can select anyone according to your requirement. The frame of the scale is made of steel. It has four adjustable swivel feet to stand firmly on the floor. PS-500PJ is another popular scale which is designed for standard US pallets with opening of about 3.4”. Its wheels are nylon rimmed and it can be moved from one place to the other. It is available with one year warranty. Californo is the leader in Commercial and residential authentic Neapolitan style pizza ovens! Our ovens are 100% US made since day first back in 2005, all design and manufacturing. Welcome to All Japanese Engines Inc. dba All Engine Distributing. We carry a full line of Automotive, Ag and Industrial Engines and Transmissions.